A nicely thought out circuit that provides plenty of opportunity for overtaking. 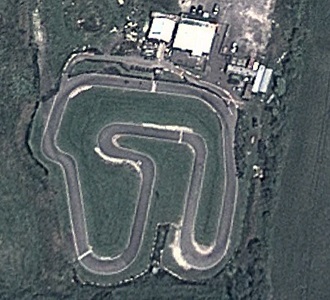 Currently only practice sessions are available though this shouldn't put you off as the track is great fun to drive. From Skegness tak the A52 to Lomax Corner Garage and turn right into Low Road - the circuit will be on your left. A 90-minute team endurance event. Qualifying to determine your grid position then a non-stop 90-minute relay event for teams of FOUR drivers sharing a kart.